Giving back is such a good feeling. This holiday season, we wanted to do just that. Give back, but do it with a purpose. We partnered with Kesha (WeGotKidz.com) and created the campaign Purses with Purpose. 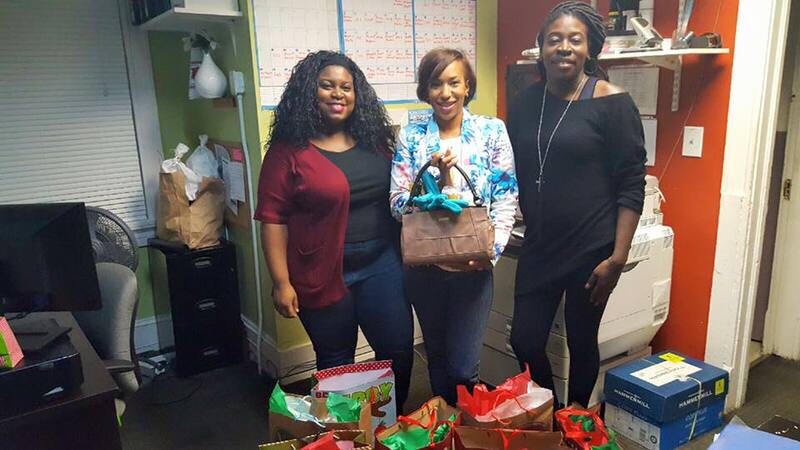 We wanted to bless 20 women in a local Atlanta Shelter this holiday season with brand new purses, donated my MICHE Handbags (Andrea Johnson), filled with everything that most people take for granted. When women are in unfortunate domestic situations, sometimes they have to flee with the clothes on their back. That means they are leaving everything behind. As a community, children are usually cared for around the holidays but we wanted to take care of the mothers this year. We wanted to let them know that they matter and someone has their best interest in mind. We started the campaign early November and raised around $400 in cash & $200 in products for the actual purses. It was a blessing to also have every purse donated too! We then shopped for the purses and allowed our children to get involved in the filling process. On December 26th, we delivered the purses to the Nicolas House in Atlanta, GA (see our video and process below). It amazes me how much we were able to do with just our friends supporting us. My mind is blown with what could happen if we involve brands and sponsors next year.